Posted on September 12, 2013 by Peter Schilling Jr.
Last week we brought you what might be Cassavettes’ masterpiece, A Woman on Under the Influence, and this weekend we give you the master’s earliest work: Shadows and Faces, two of the very first great independent American features, from 1959 and 1968, respectively. The searing intensity of Cassavetes’ work deserves to be seen on the big screen. 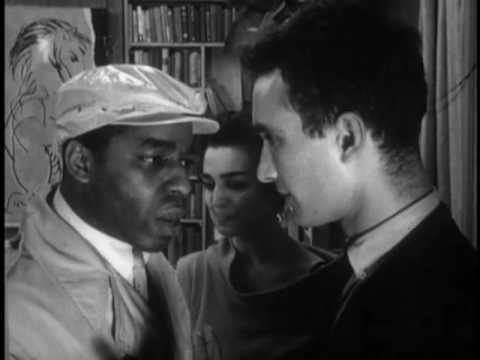 To a degree, they defy summary: Shadows is a supposedly improvised movie about interracial relationships in New York City during the height of the Beat Generation movement. (Many critics, most notably David Thomson, argue that Shadows is hardly improvised, but worked on over time, rehearsed, etc. Detractors to this point also argue that not being improvised doesn’t take anything away from it.) Faces, which propelled Cassavetes at the very least into the upper echelons of art house directors, and which landed a number of Oscar nominations, is the story of a couple whose lives begin collapsing when the husband demands a divorce. But then, you don’t go to a Cassavetes movie to get caught up in an intricate plot, but to feel, to have your emotions wrung out like so much wet laundry, to marvel at the power of incredible performances and direction that supports the same. Shadows plays this weekend at 7:00 on Friday, 9:30 on Saturday, and 7:30 on Sunday. Buy tickets here. Faces screens Friday at 9:00, Saturday at 7:00, and Sunday at 5:00. Buy tickets here.